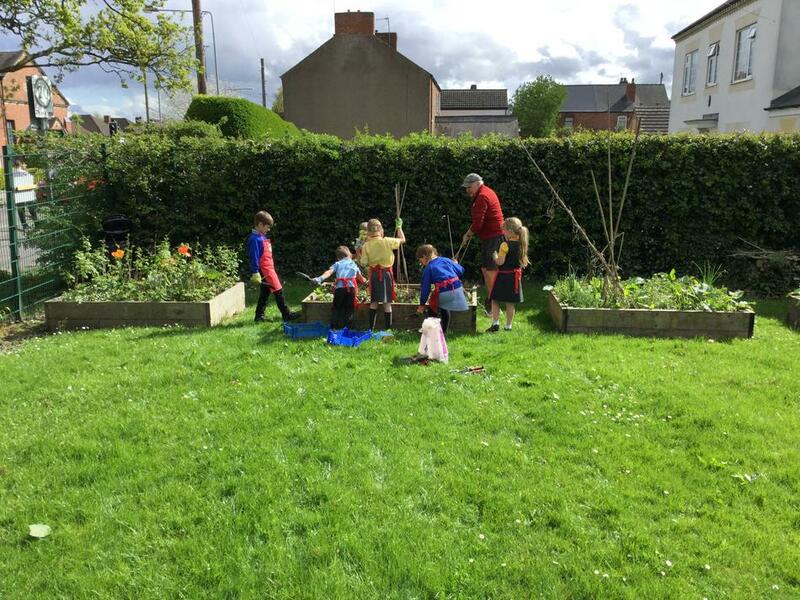 Thankfully, the sun always shines on the Awsworth gardeners! 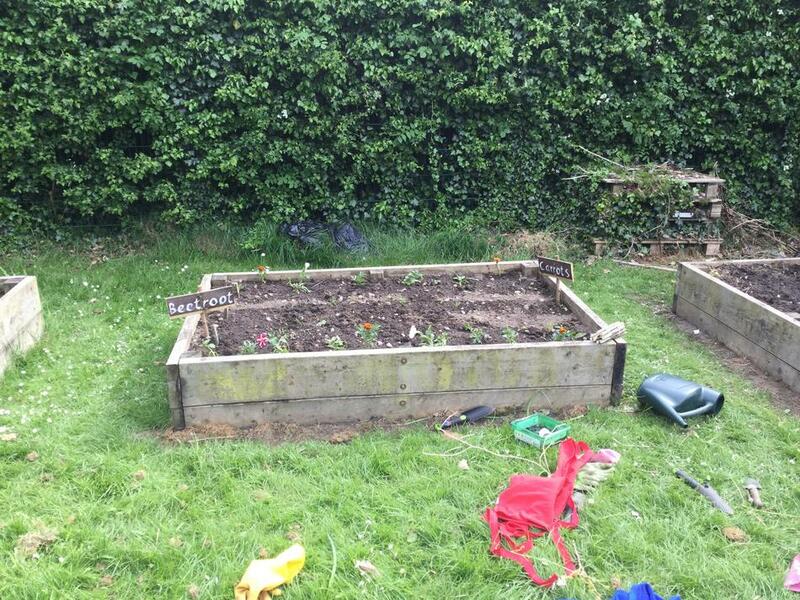 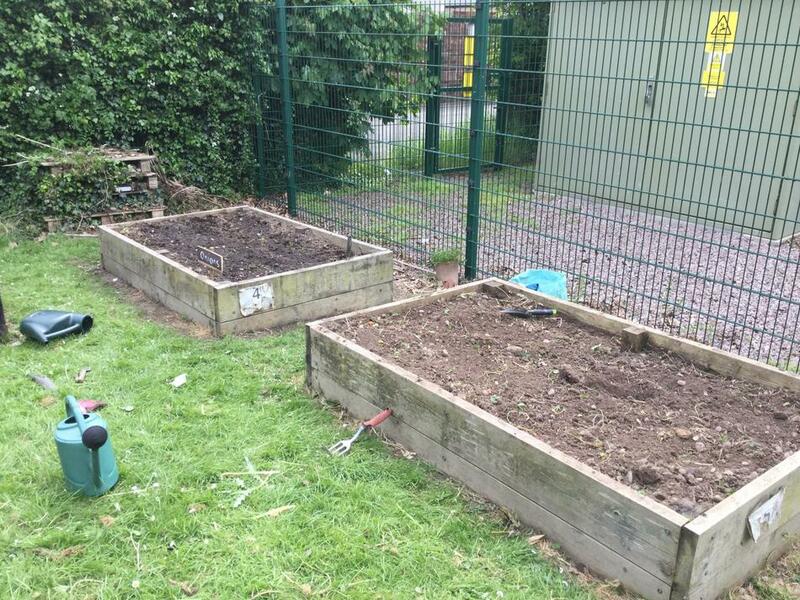 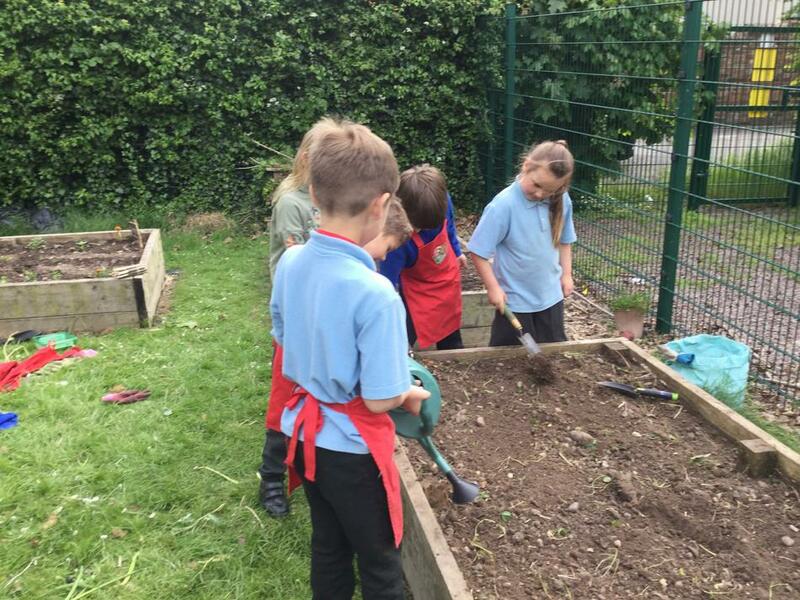 This afternoon, we continued with our weeding in the raised beds and planted carrots and beetroot! 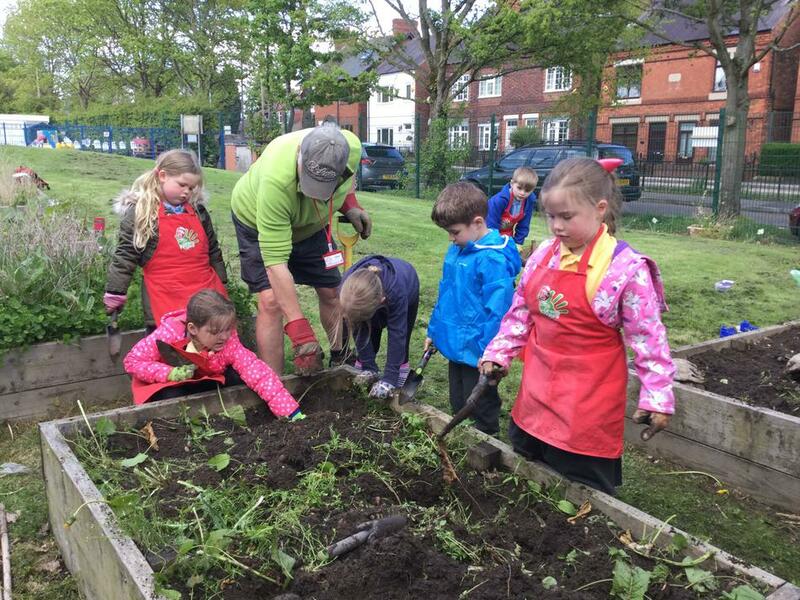 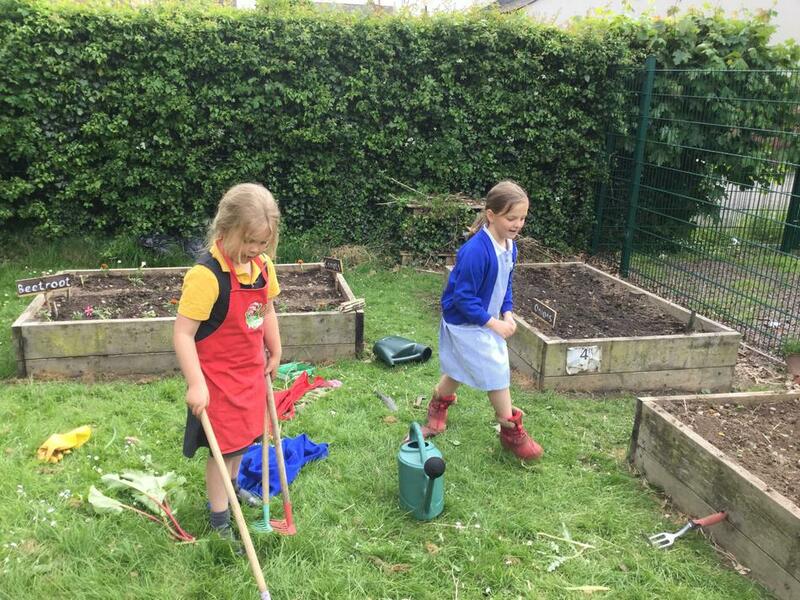 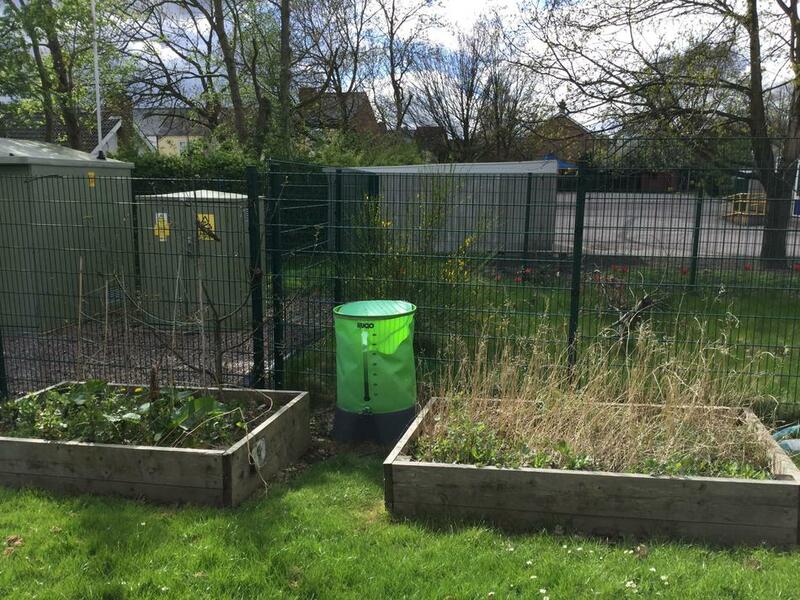 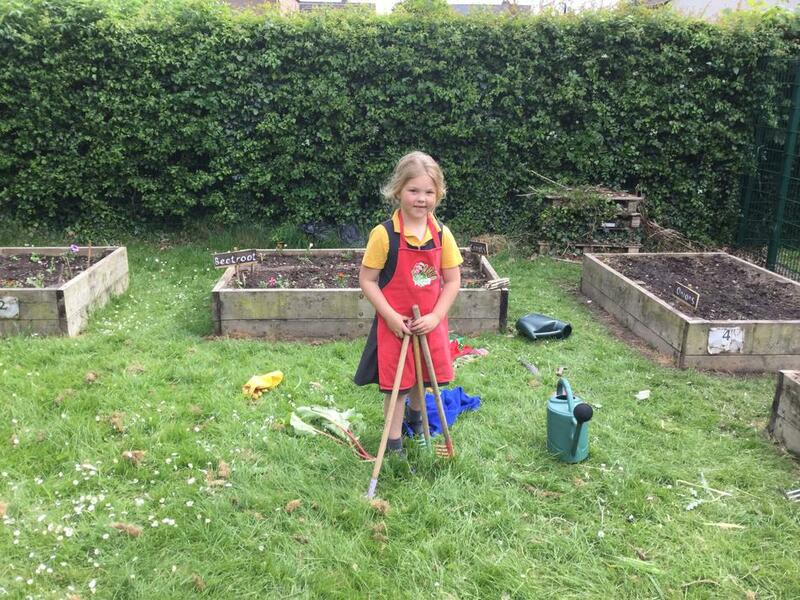 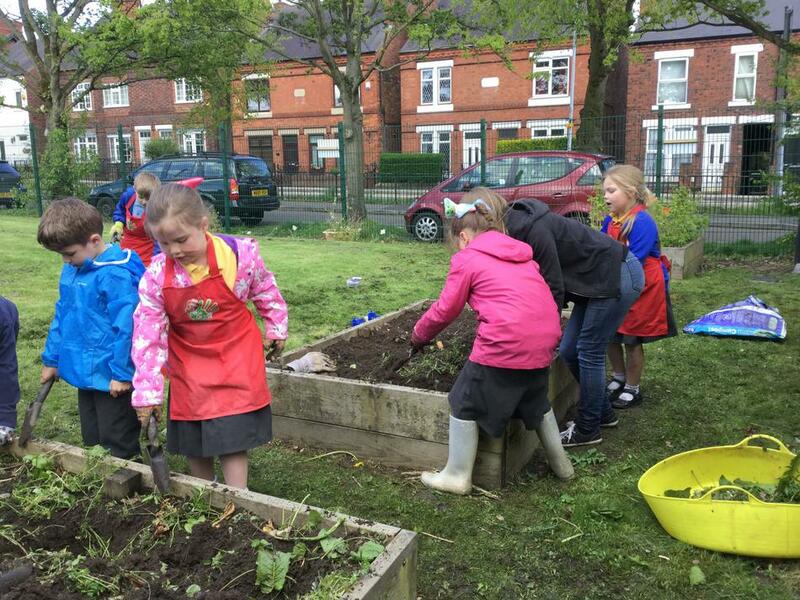 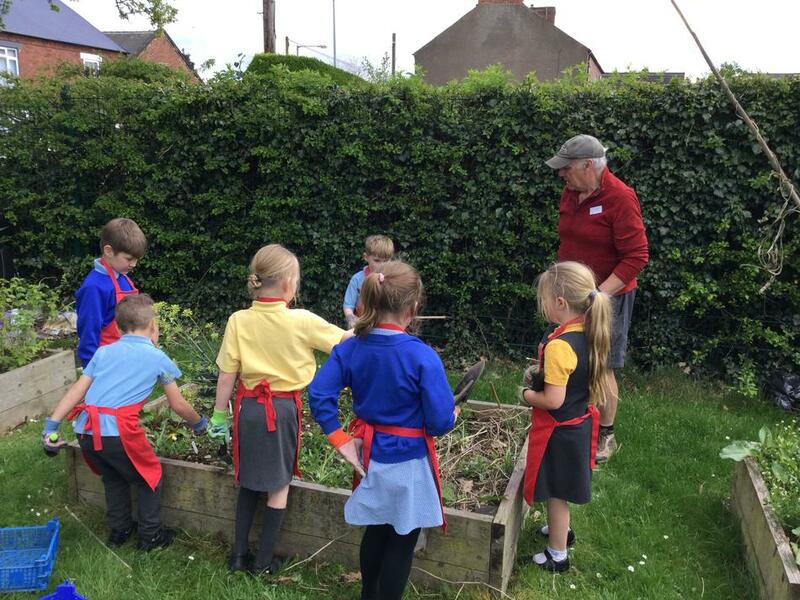 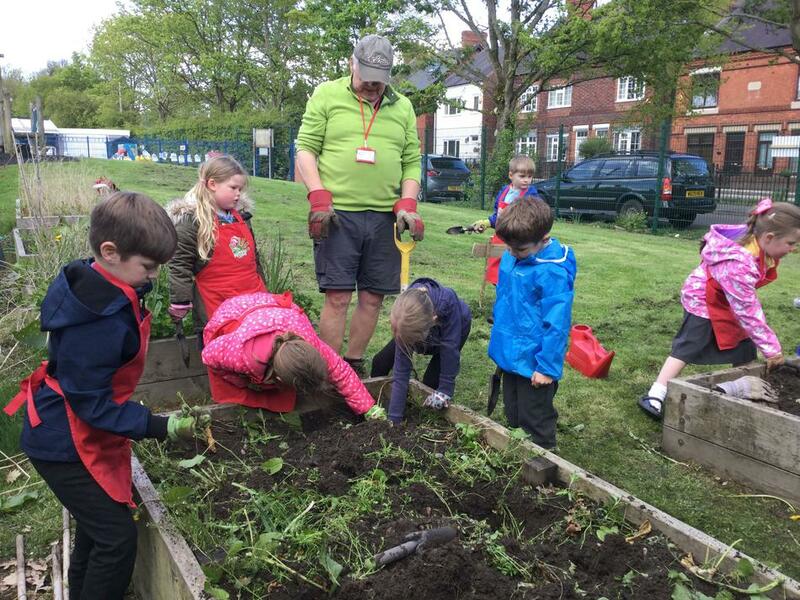 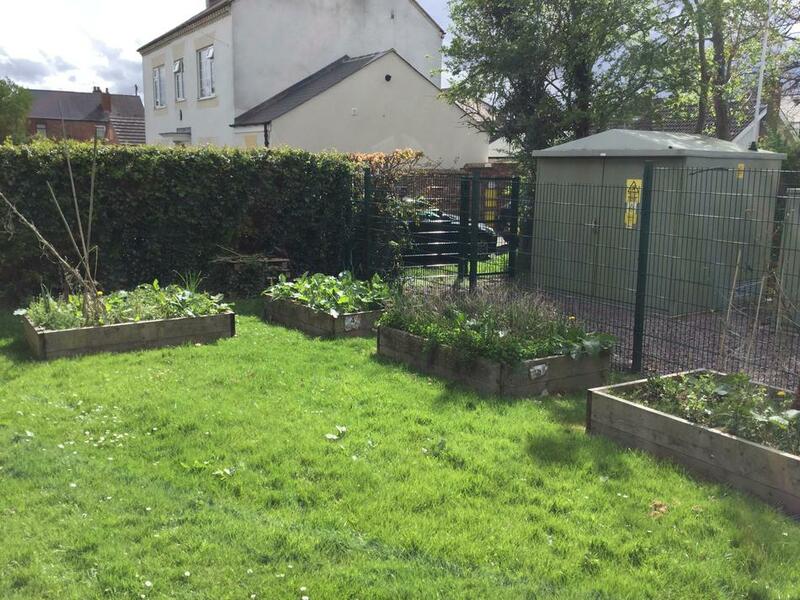 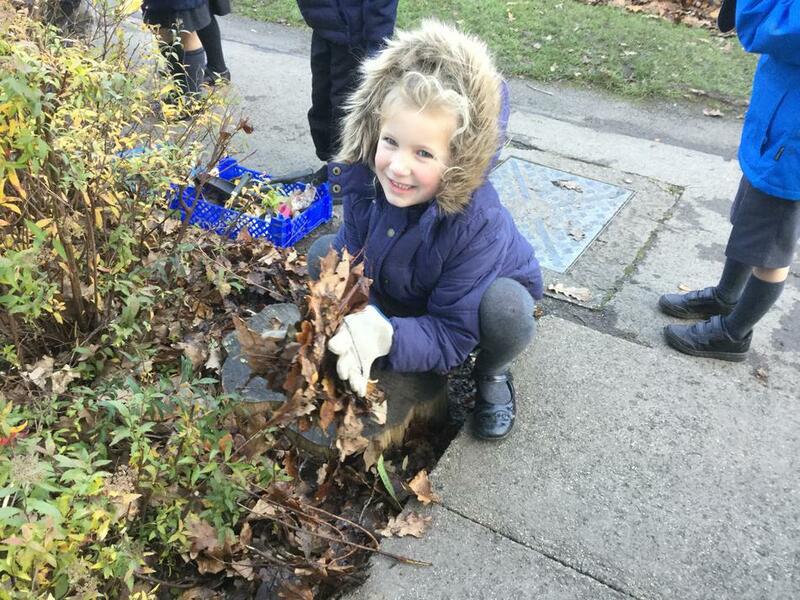 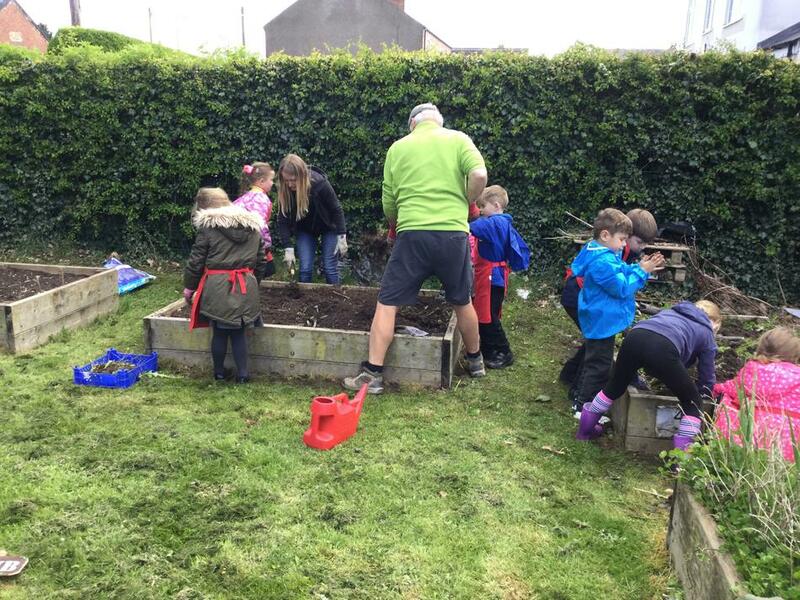 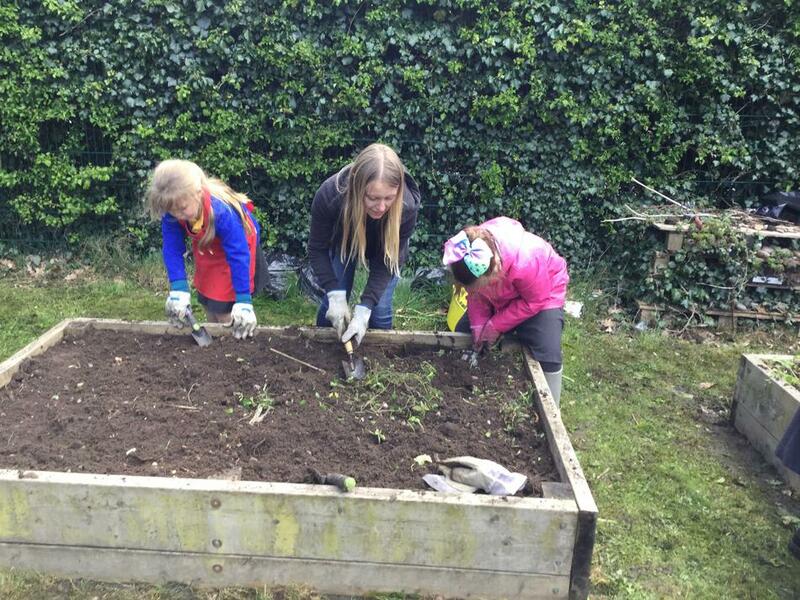 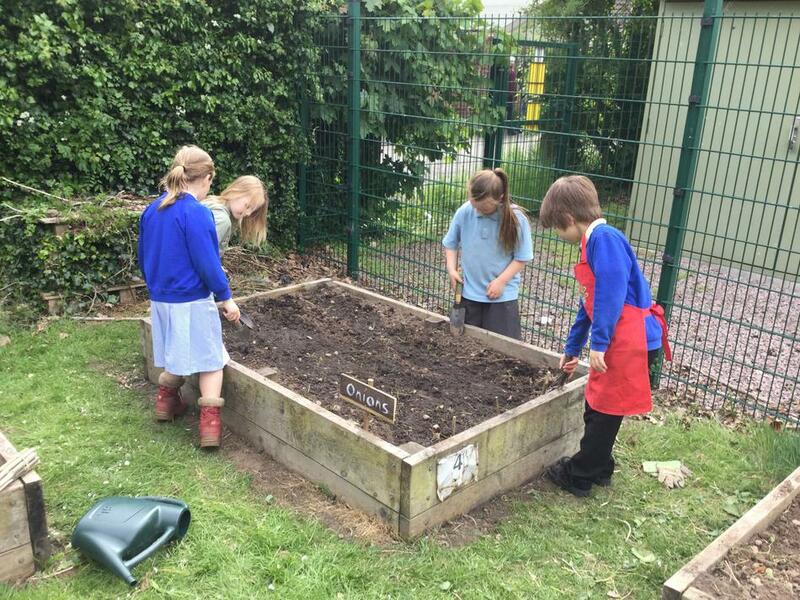 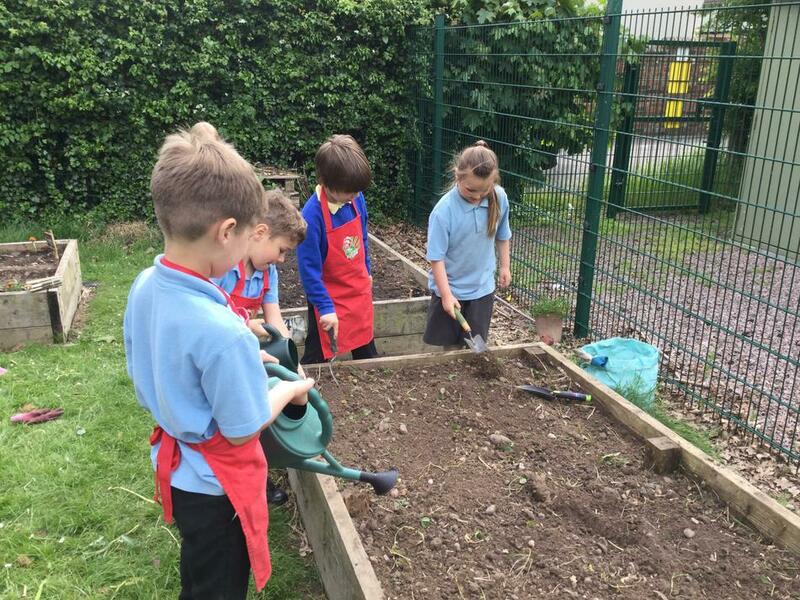 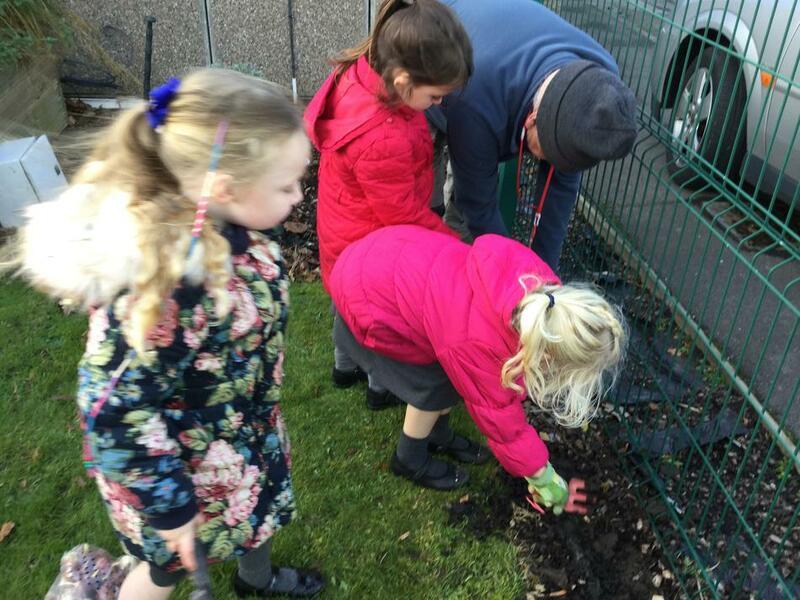 Well done gardeners - another productive session! 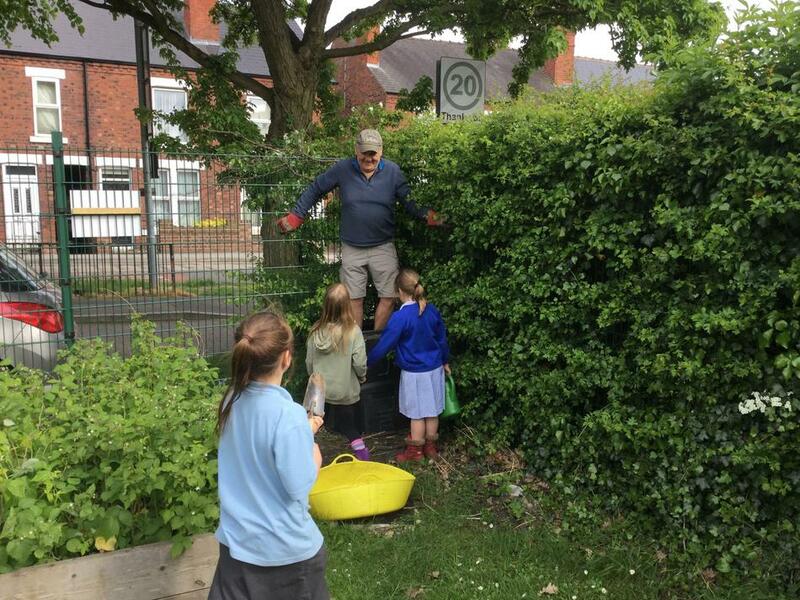 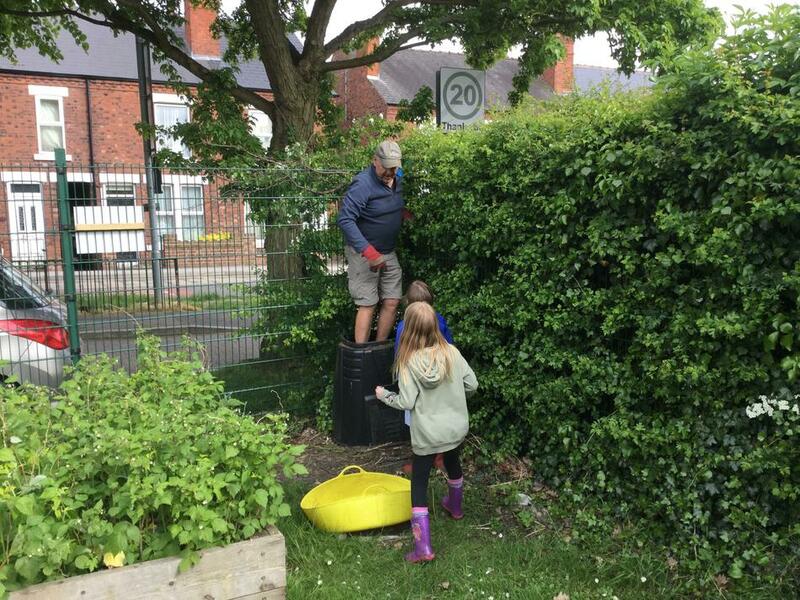 A HUGE thank you to Pete (Annabel's grandad) and Tracy (Ameila's mummy) who are lending a hand (and offering lots of gardening advice!) 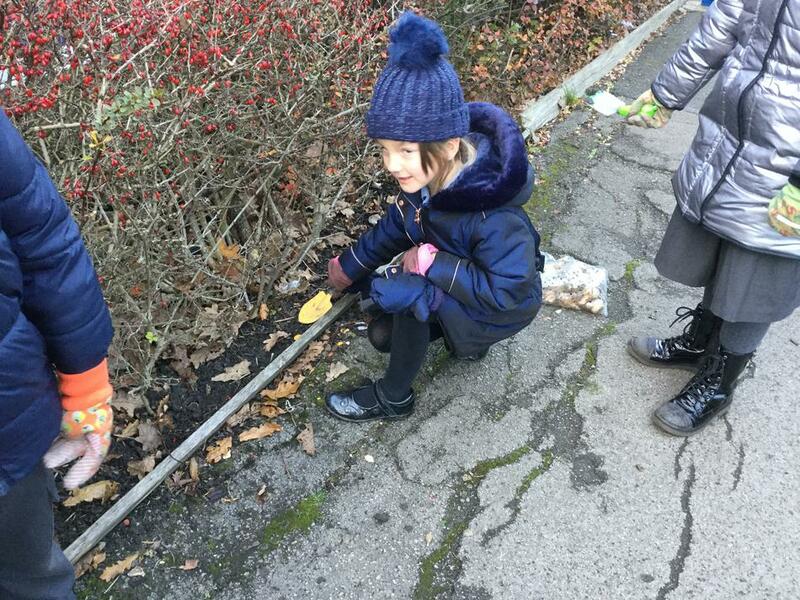 every Wednesday. 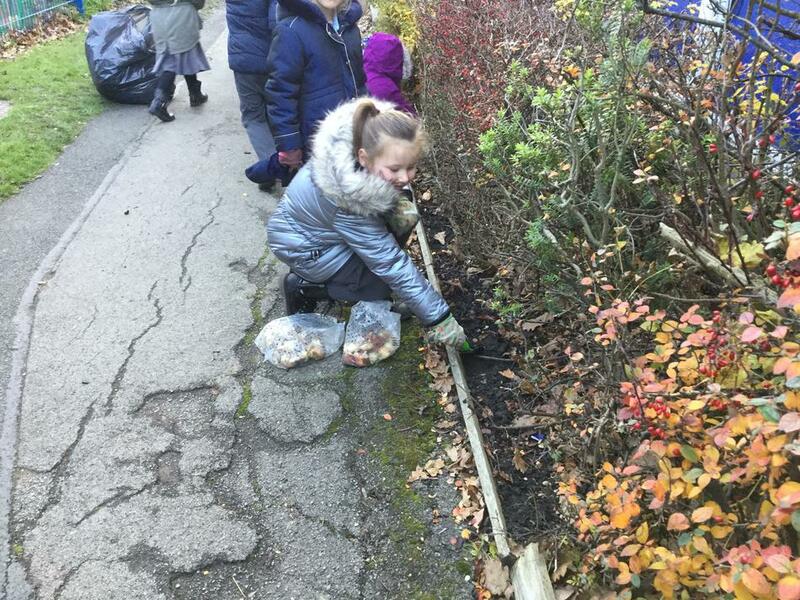 Look at the amazing signs Pete has made for our flower beds! 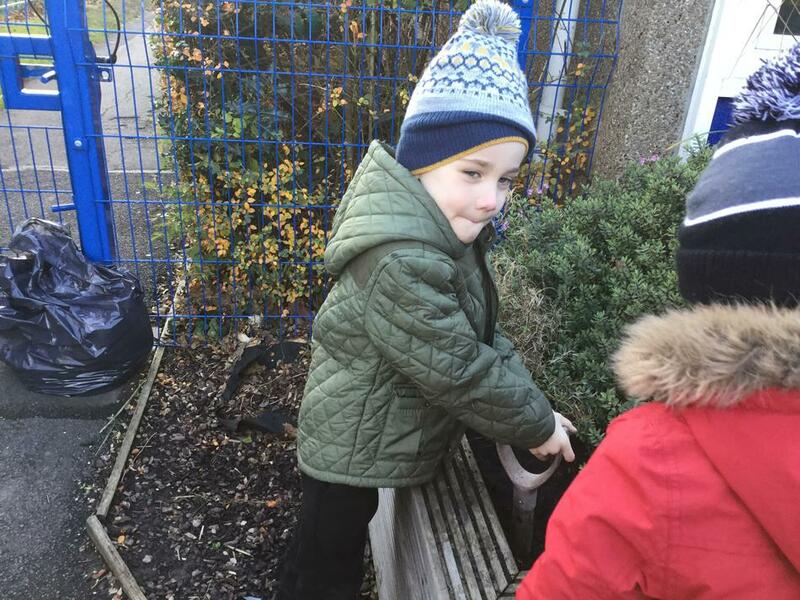 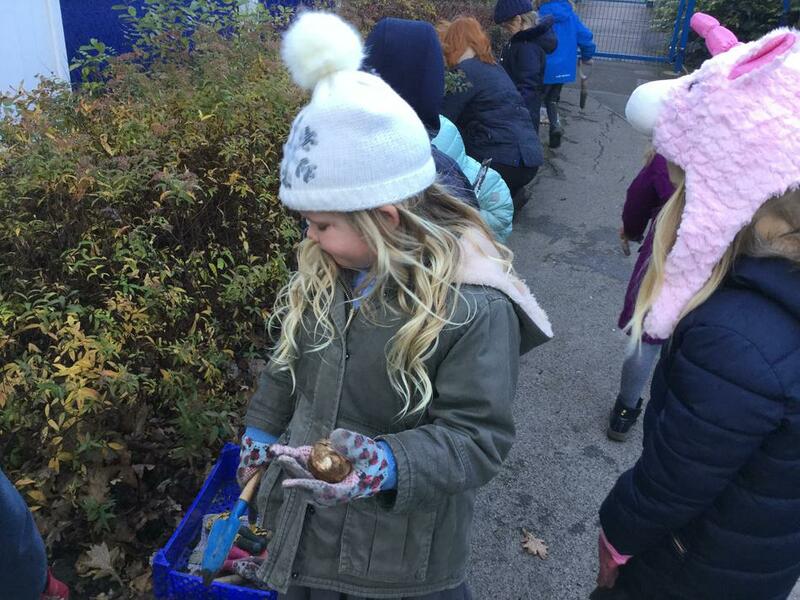 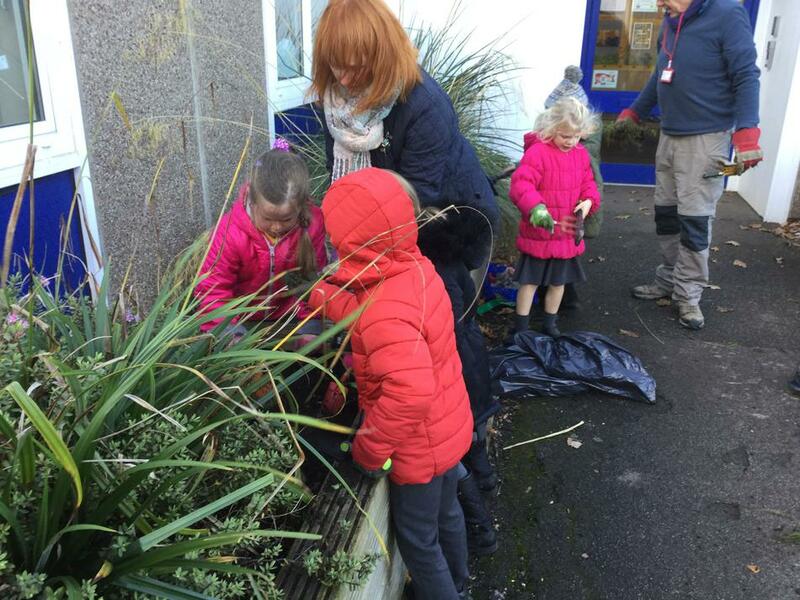 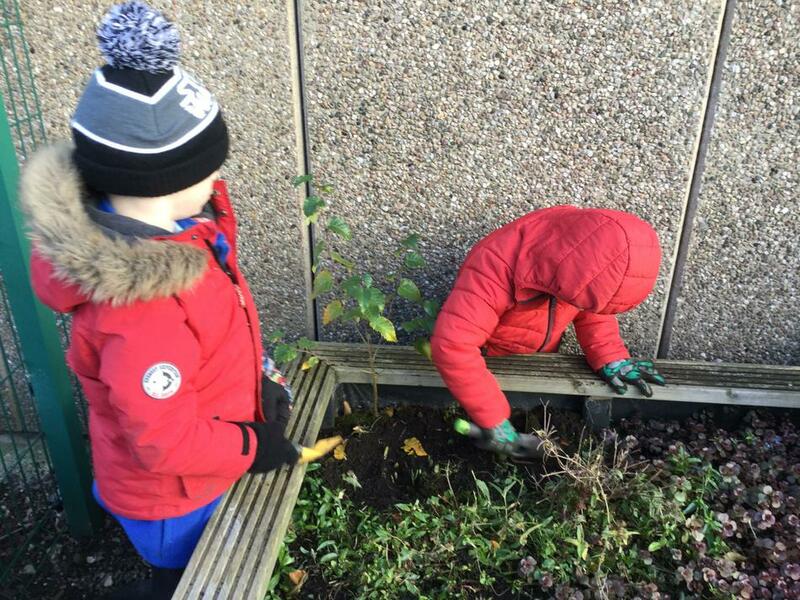 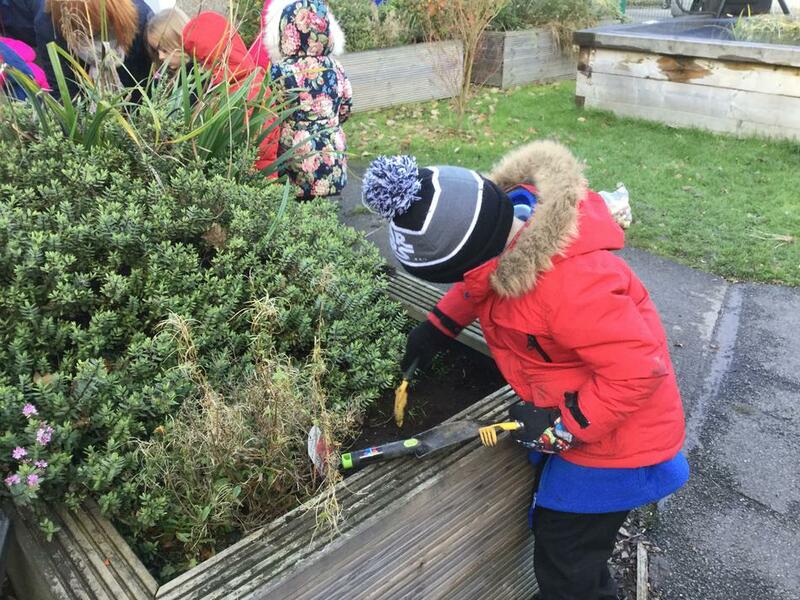 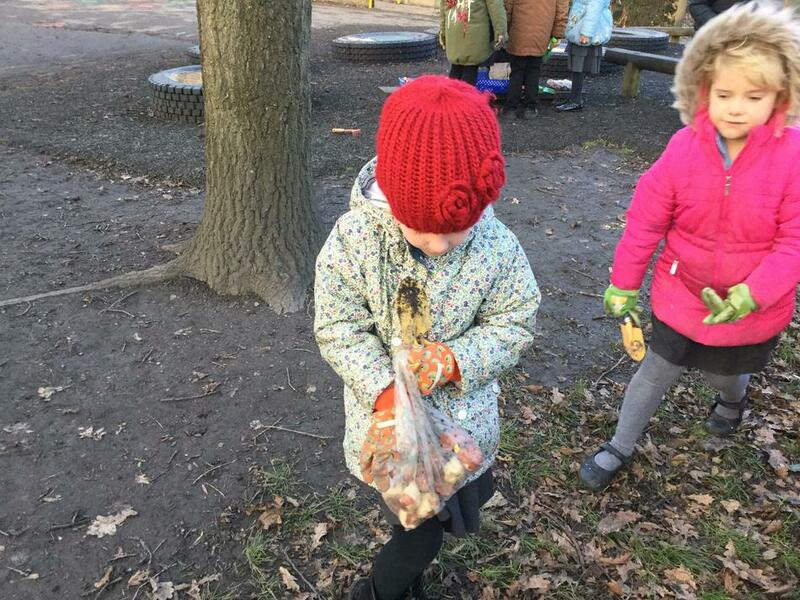 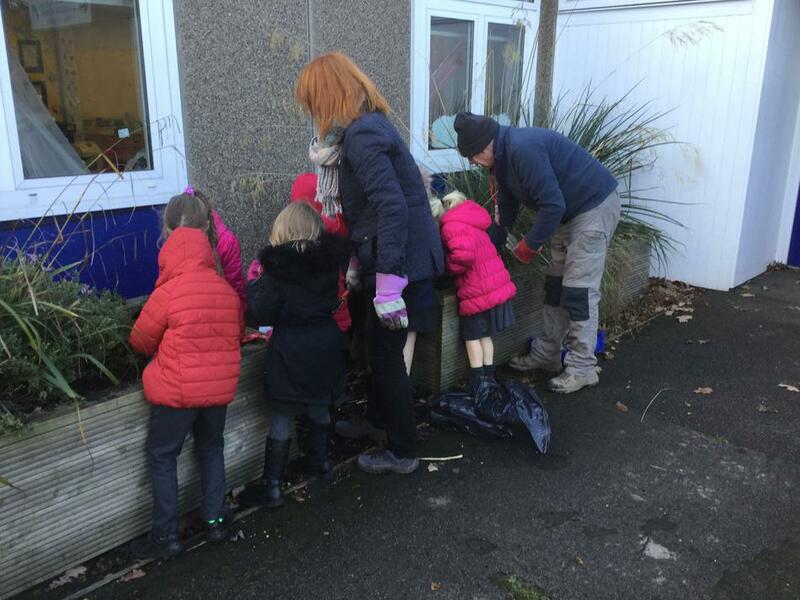 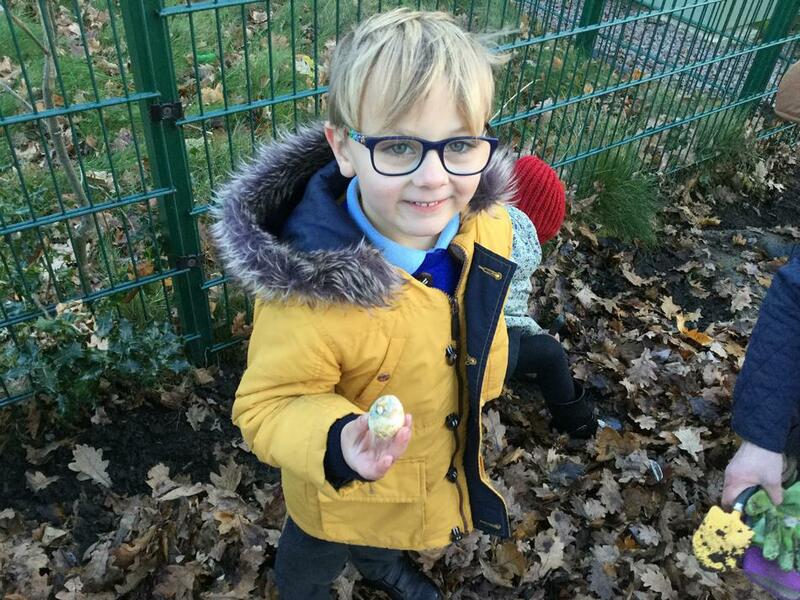 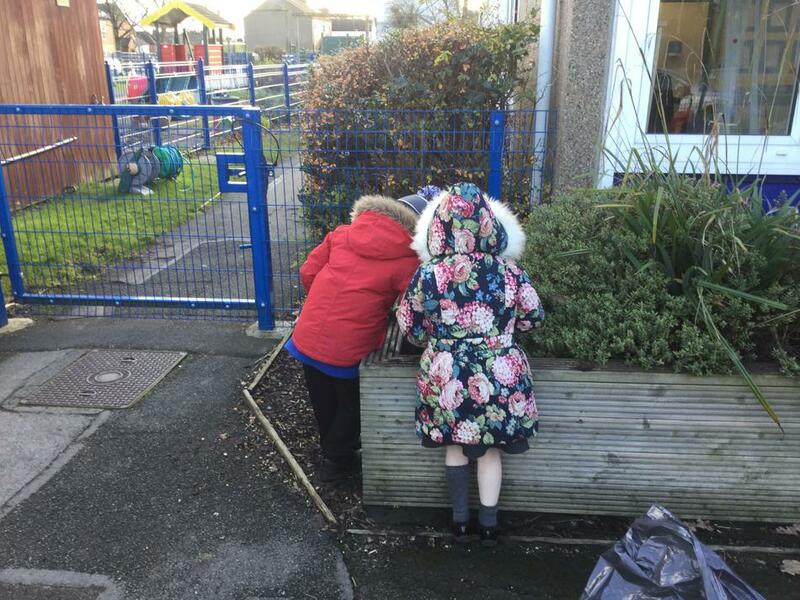 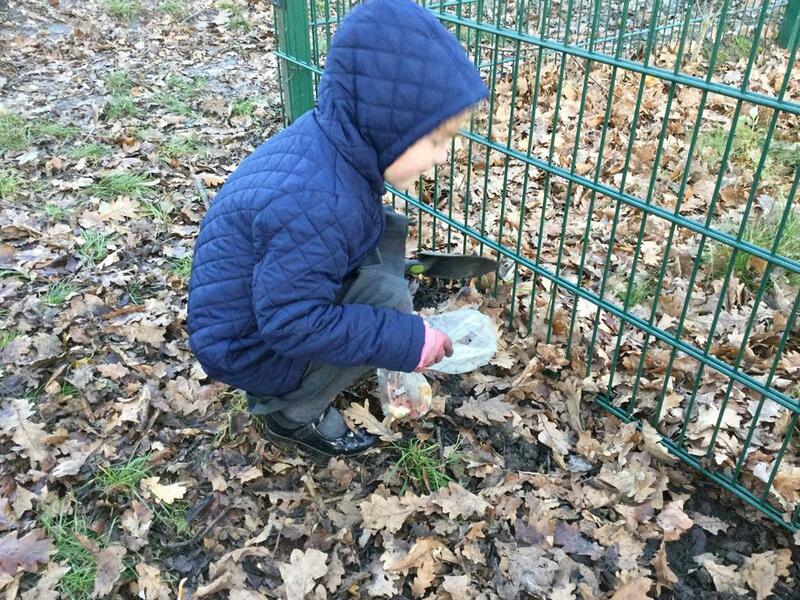 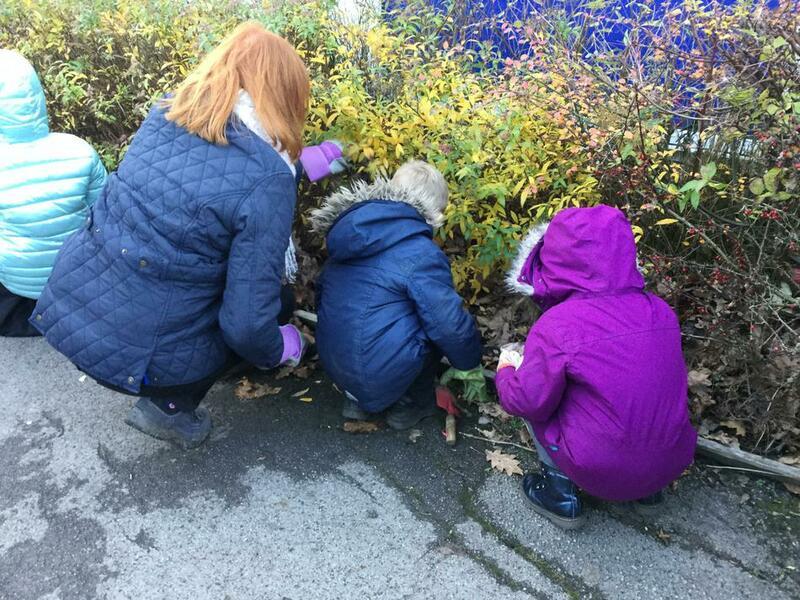 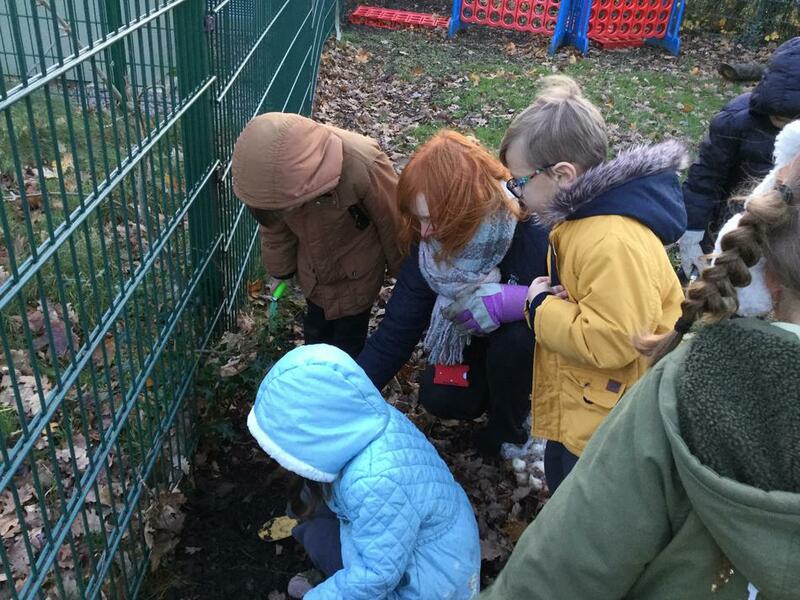 All the Year 1 children spent a lovely afternoon planting bulbs all around the school. 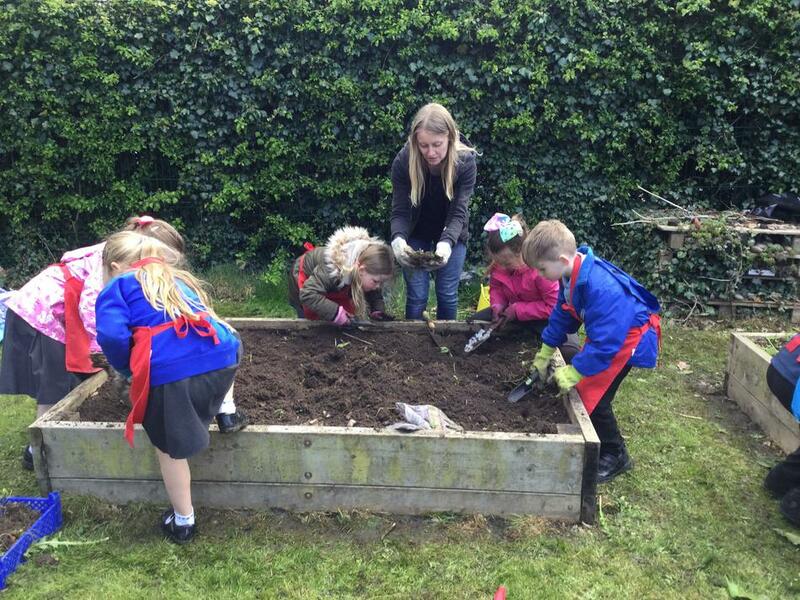 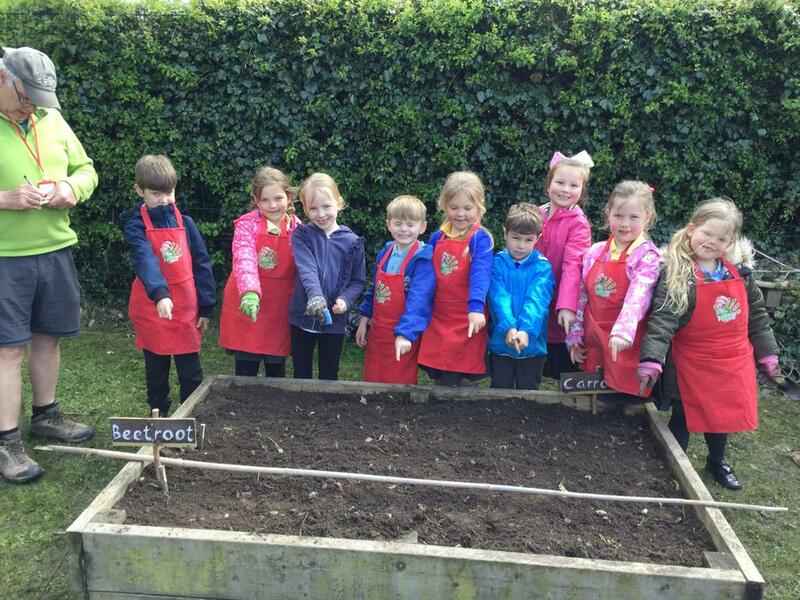 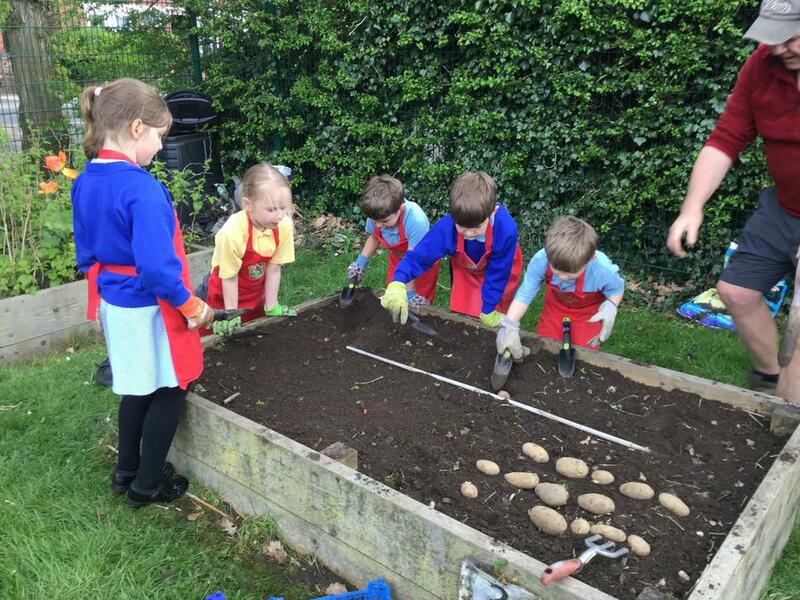 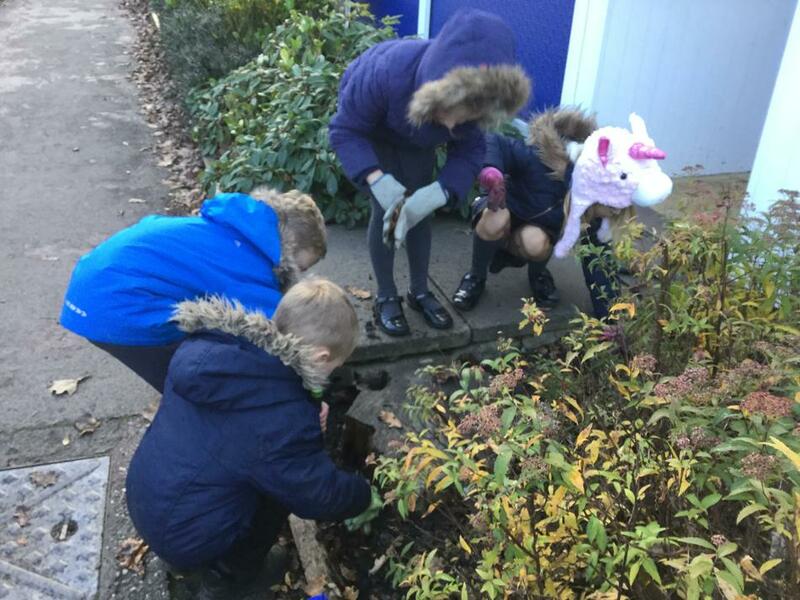 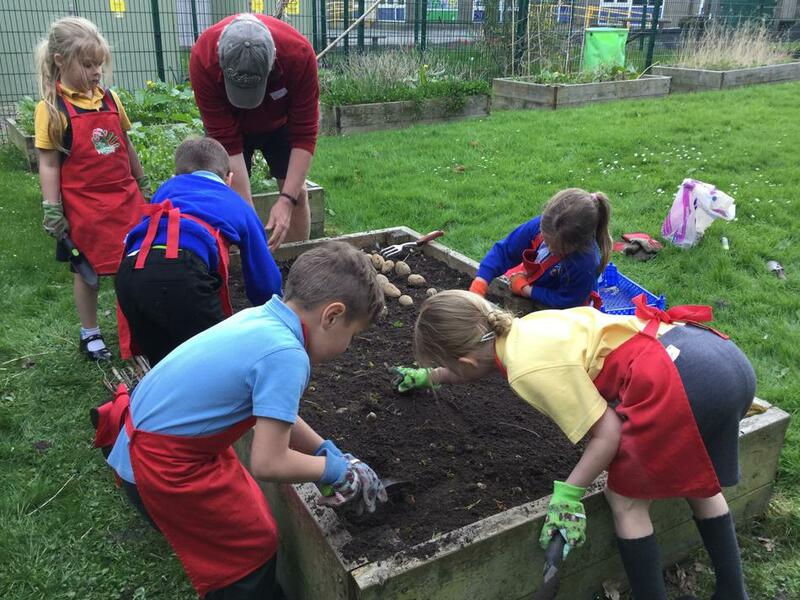 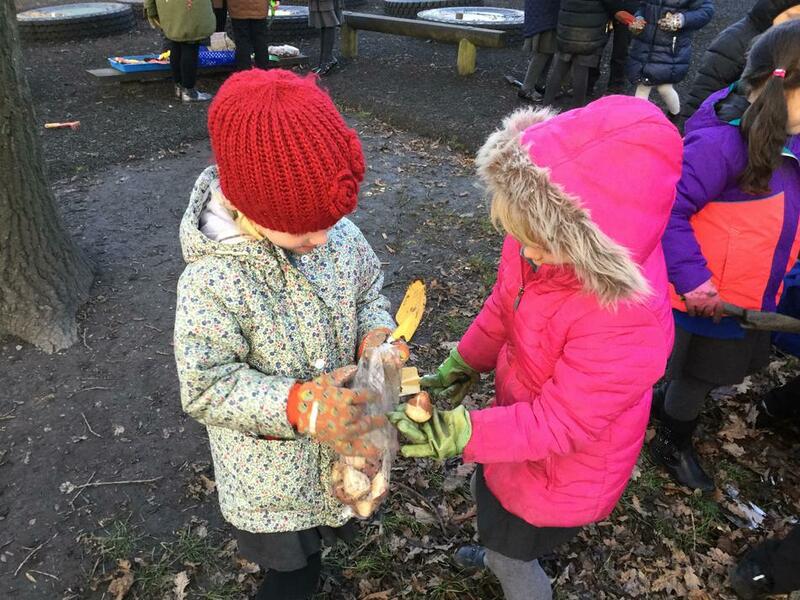 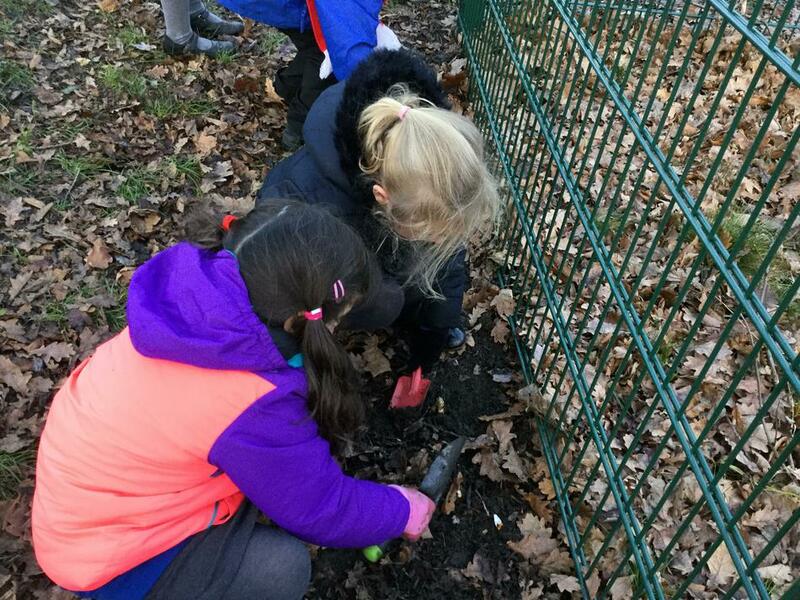 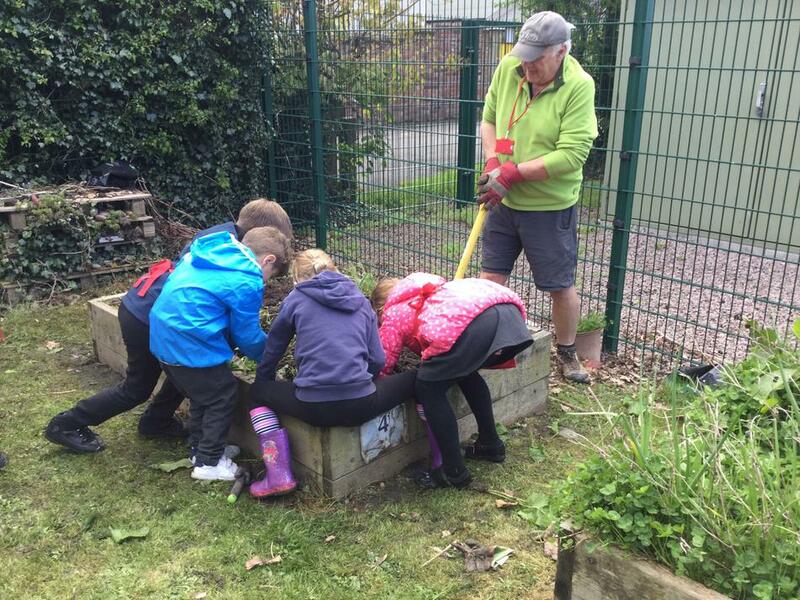 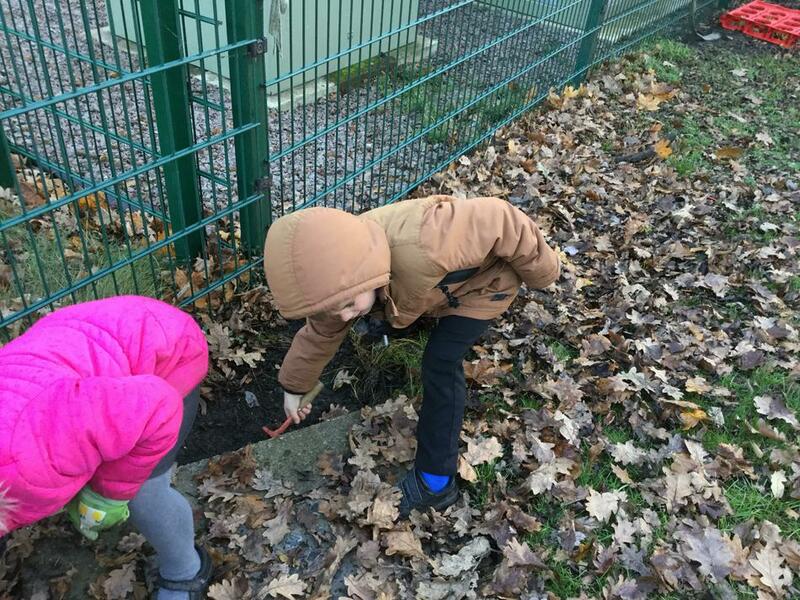 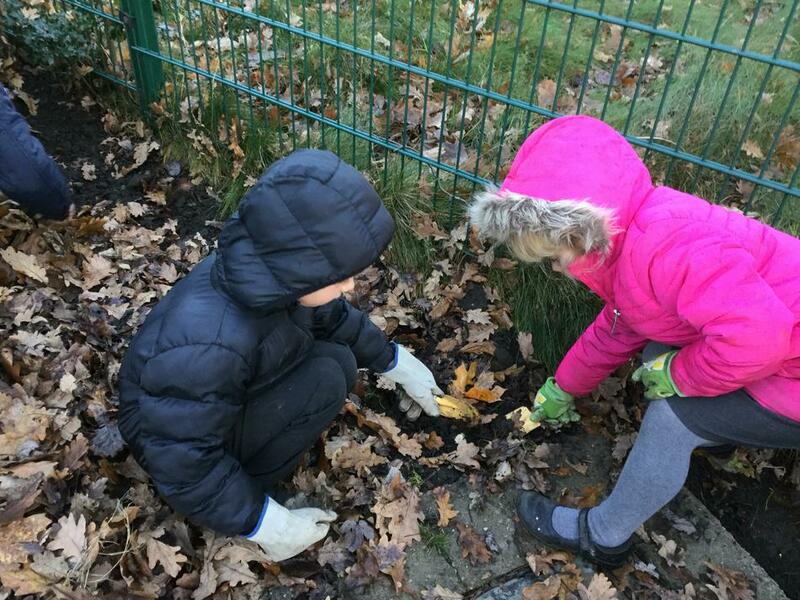 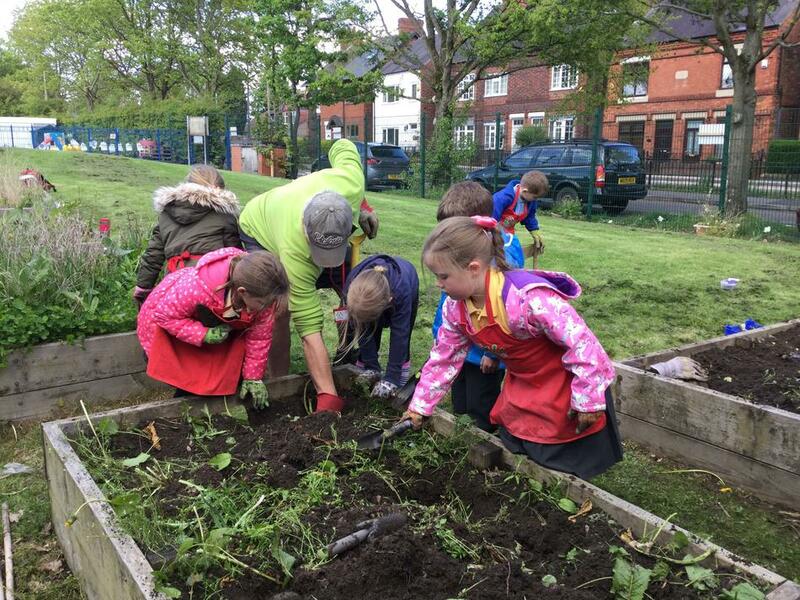 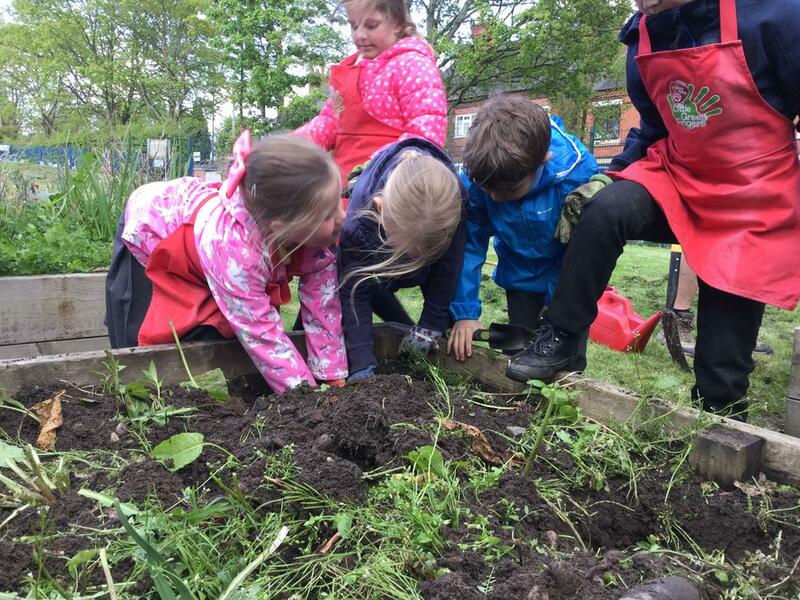 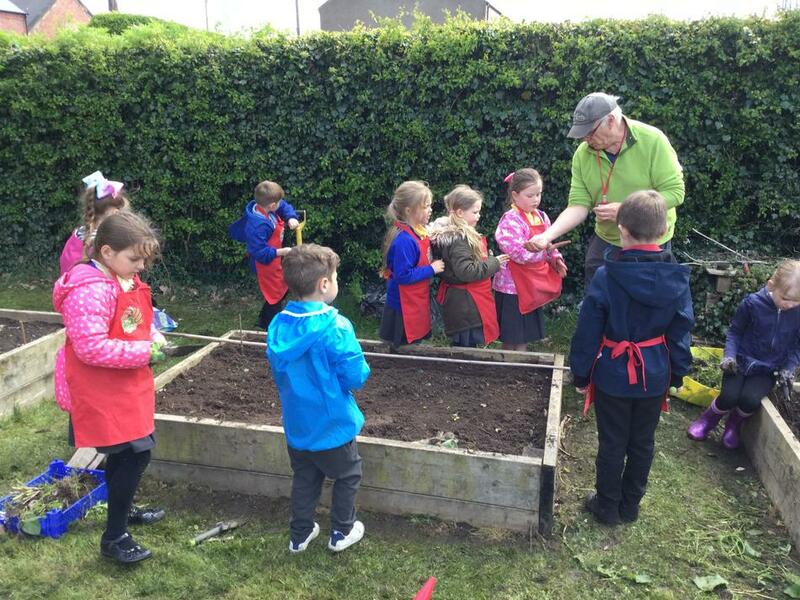 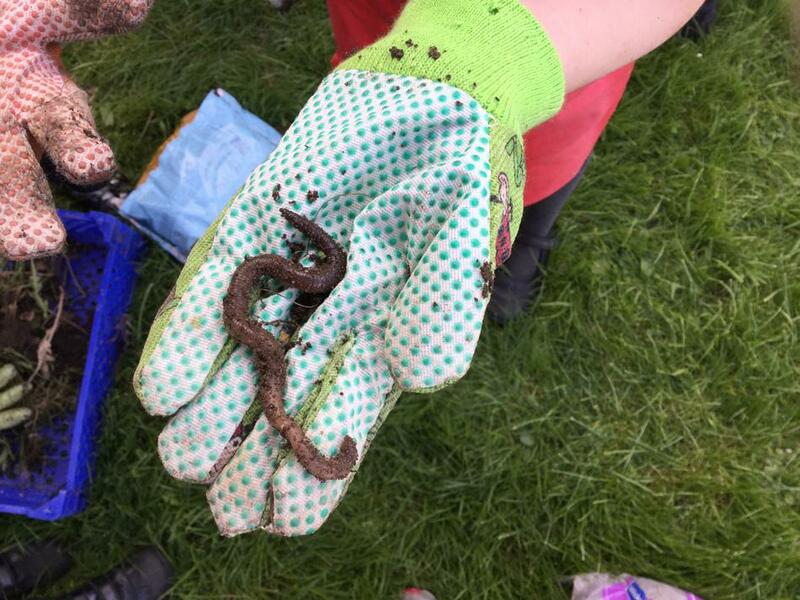 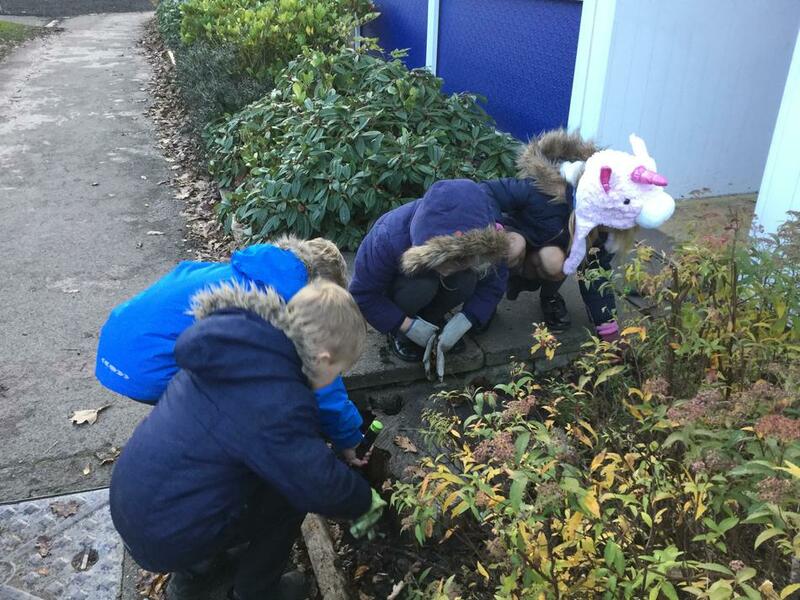 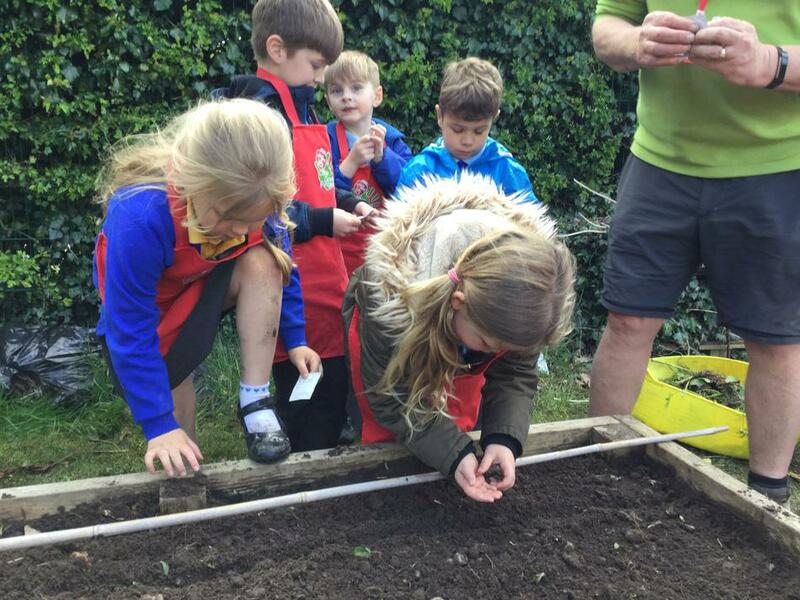 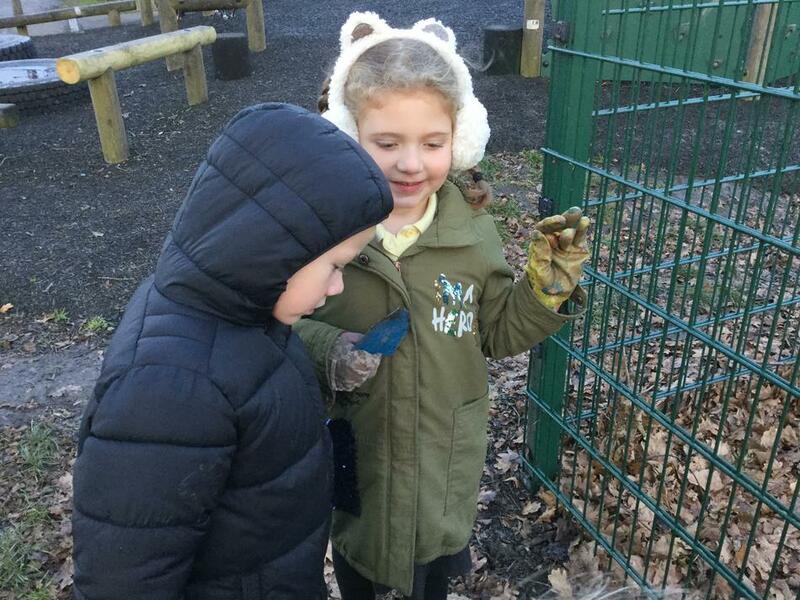 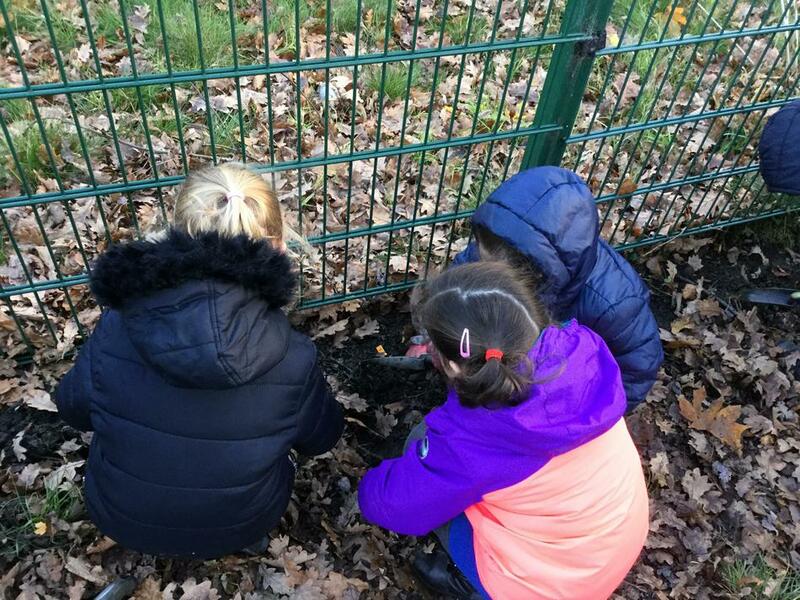 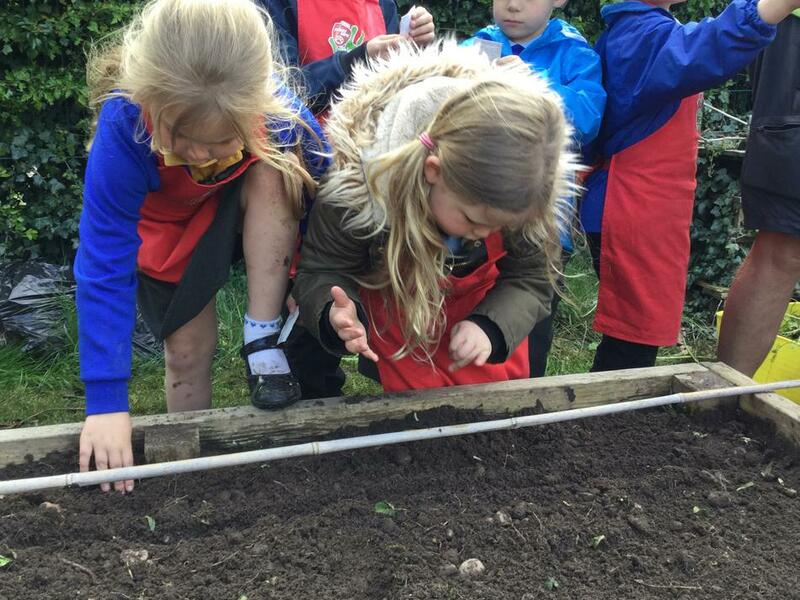 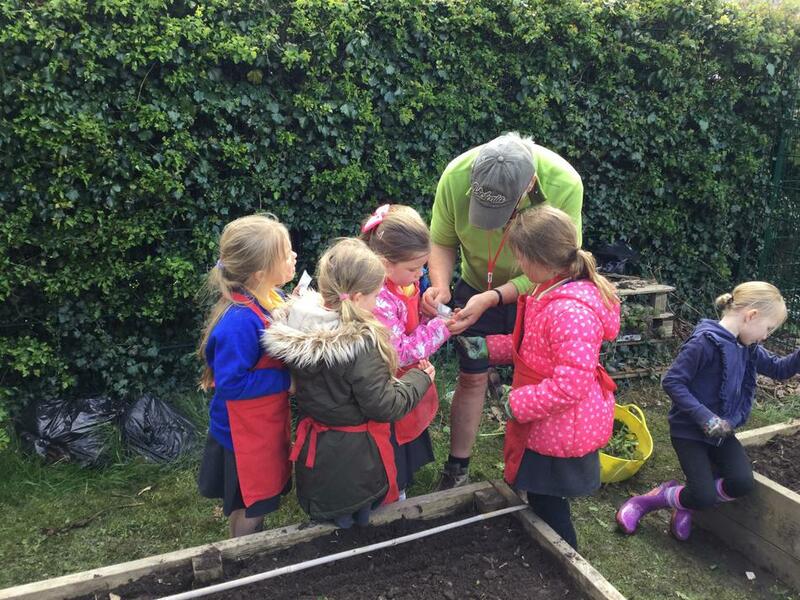 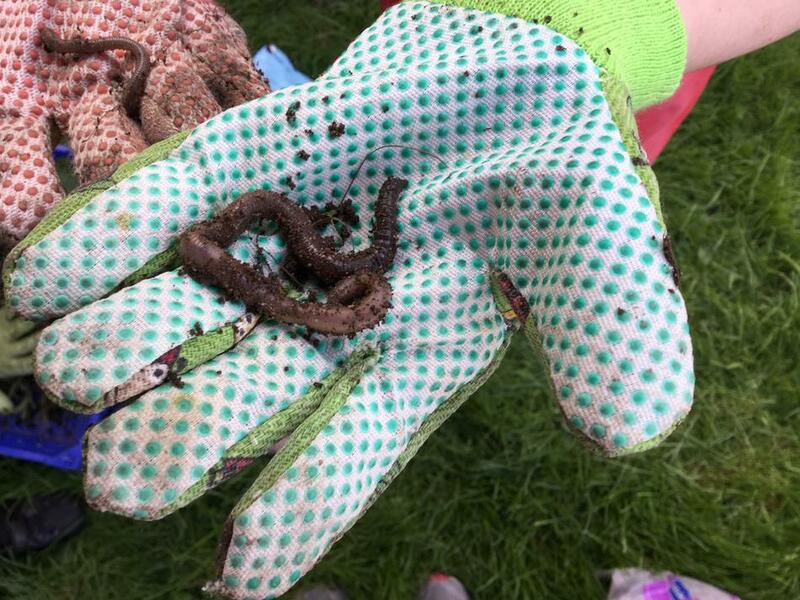 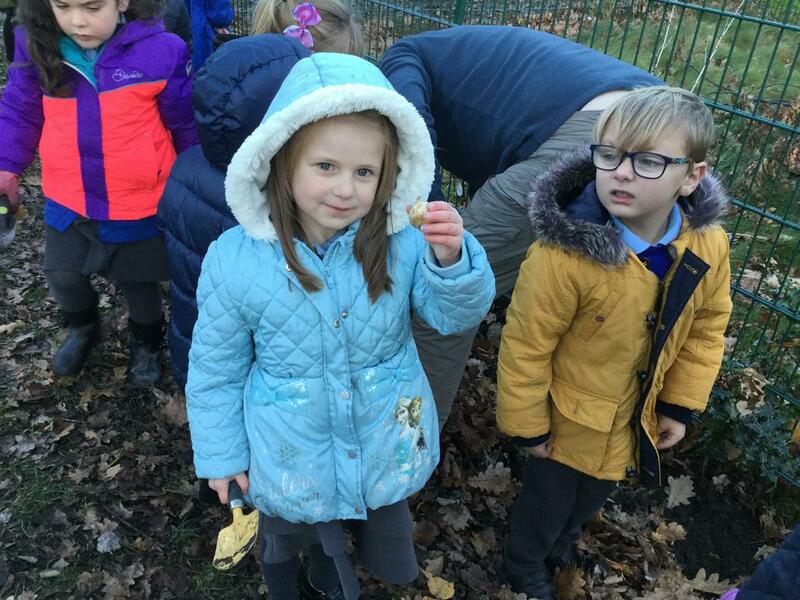 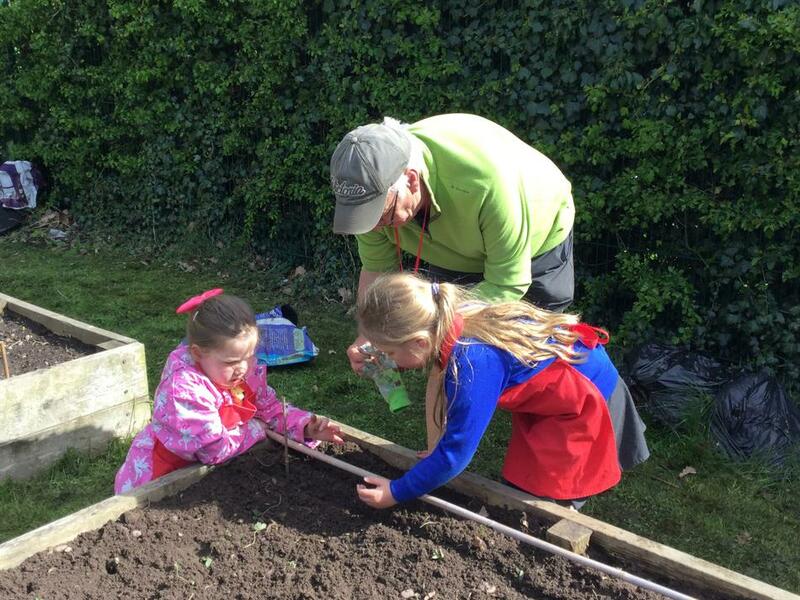 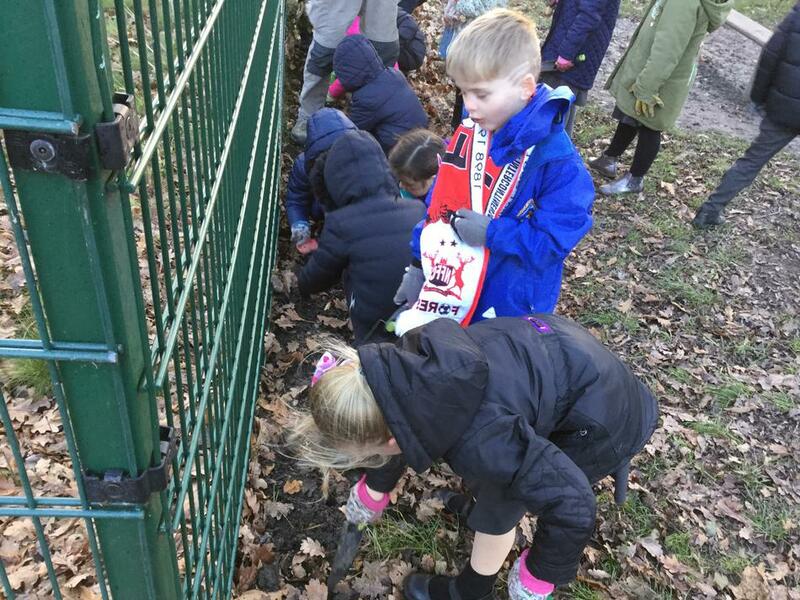 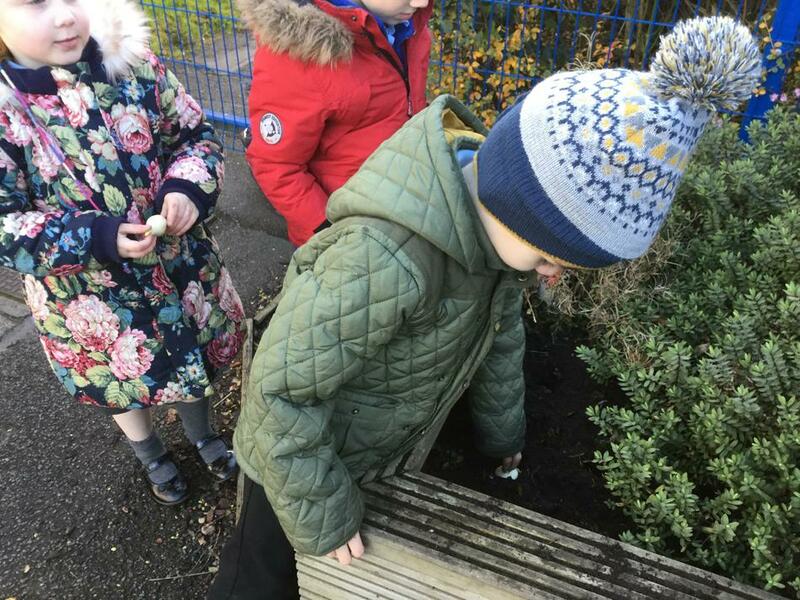 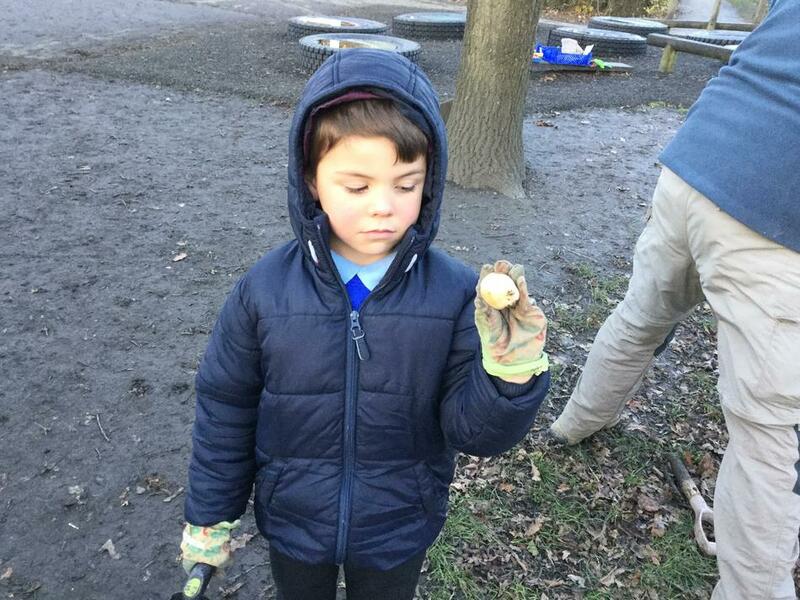 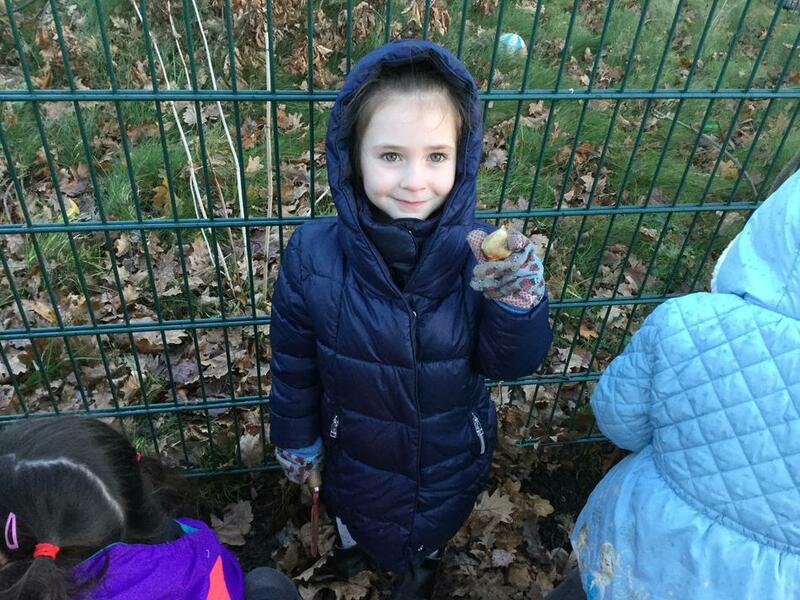 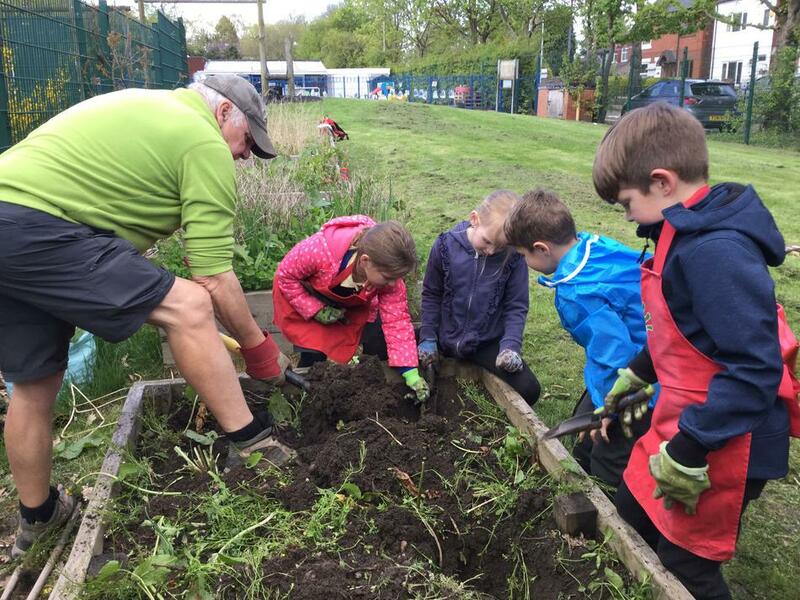 The children learnt how to dig the correct size hole, how to plant the bulb the right way up so the roots grow down into the ground and how to cover the bulb up with soil. 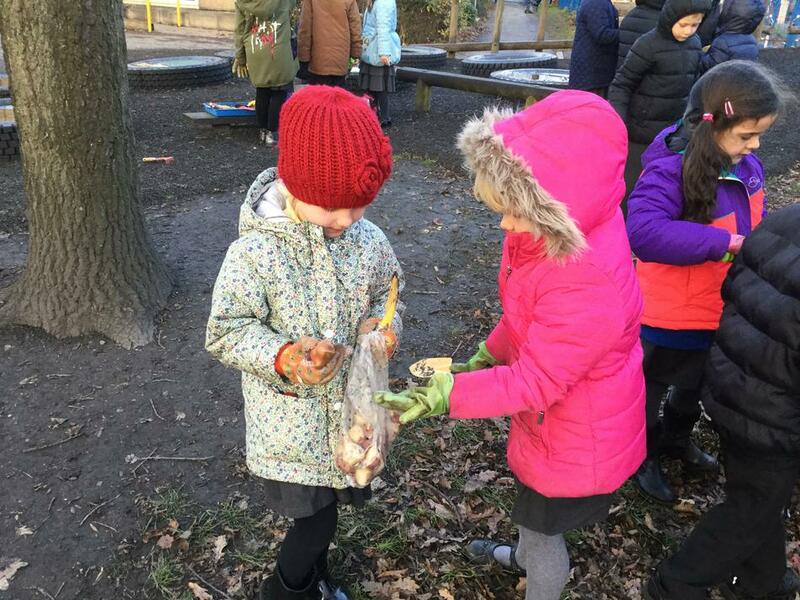 We are all waiting for warmer spring days so we can appreciate all our hard work when the bulbs grow and flower! 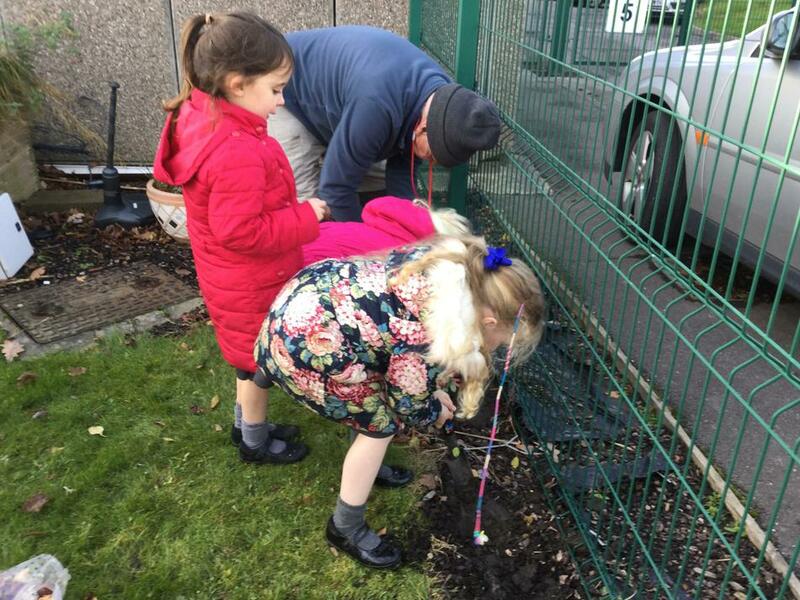 A BIG thank you to Pete and Gail (Annabel's grandparents) for all their help and expert advice with the planting!